A young Patrick Kane seems to have made his way into an NHL card 12 years before his own career even began. Long before he became a three-time Stanley Cup champion and a Conn Smythe Trophy, Patrick Kane was just a young hockey fan like so many others. Kane, who was born in Buffalo, was naturally a Sabres fan. PuckJunk.com discovered that a young Patrick Kane seems to have made his way into an NHL card 12 years before his own career even began. 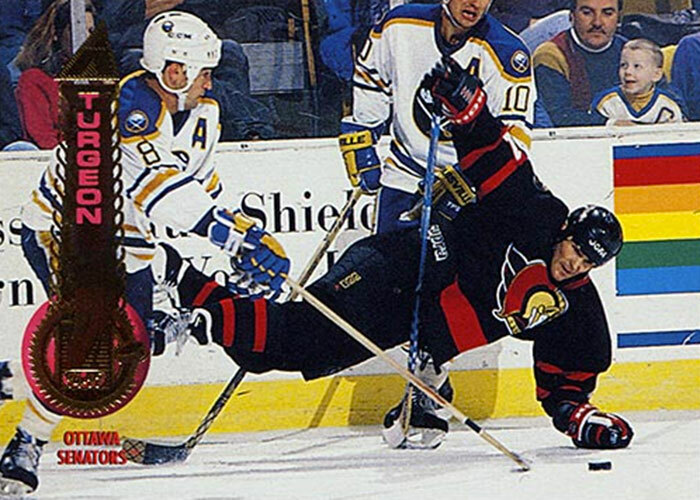 If you look at Sylvain Turgeon’s 1994–95 Pinnacle hockey card, you'll see what would have likely been a 5- or 6-year-old Kane in the upper right hand corner, taking in the scene. It's the first of a long line of NHL cards Kane would go on to appear on, but it's probably safe to say this one is the cutest.